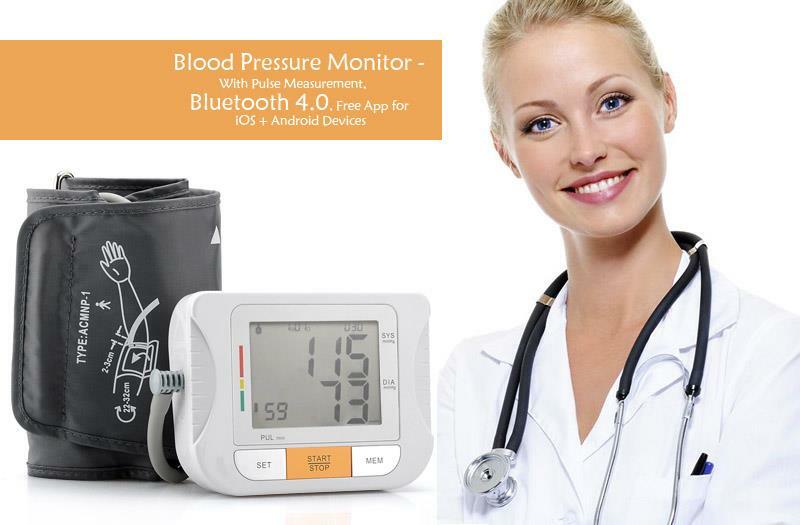 Bluetooth blood pressure monitor that syncs to your Android or iOS device via Bluetooth. Download the app and install on your compatible smartphone or tablet to read accurate and reliable results thanks to the microcomputer intelligent measurement system. It is a simple operation with an automatic process that is begun with just one touch to start measuring your blood pressure. The large LCD can clearly show the blood pressure and pulse readings plus there is a blood pressure warning prompt. Don't cut corners when it comes to health, with this blood pressure monitor stored in your cupboard, you can always get a quick check up. Product Notes App supports to test only one person everytime now,if need to test more people,you should restart the APP.app also is constantly updating.